Here’s an album cover I hadn’t seen. It’s a 7″ and shows up on eBay from time to time apparently so happy hunting. Click on the link below to hear a sample and read more about the band who I believe is French! The album is from 1980. Thanks to Chris B (aka ‘The Saint’ from Hawaii) for this find. 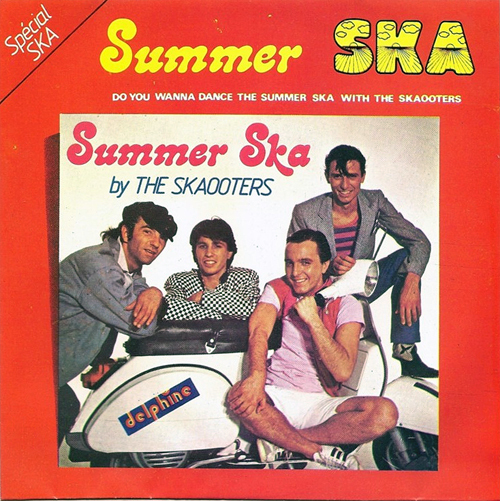 This entry was posted in Media and tagged "skaooters", album art, scooter, summer ska album, vespa by Tracy. Bookmark the permalink.